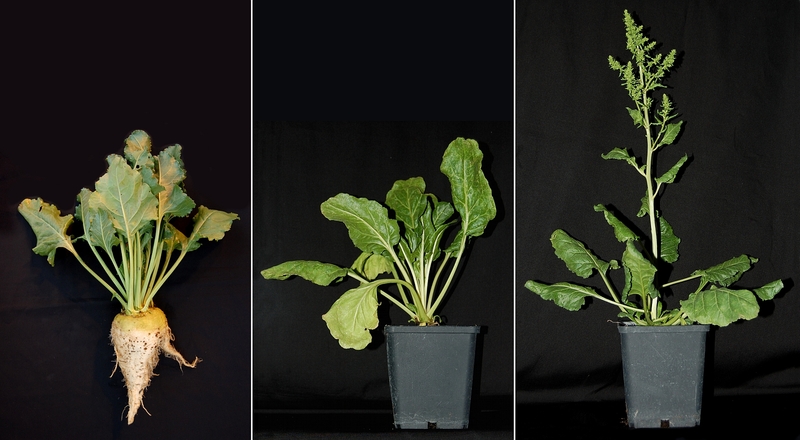 German and Swedish research groups at Kiel University and Umeå Plant Science Centre have identified the long-sought bolting gene B in the sugar beet crop. The gene called BvBTC1 determines if and when a beet plant will flower. Early flowering has the undesired effect of terminating the root growth of the beet which can limit the sugar beet yields worldwide. The new findings allow seed producers to improve cultivation efficiency by minimising yield reducing seed contaminations and help breeders to develop novel cultivars with larger beets. These results from more than five years of intensive cooperation with the industrial research partners Syngenta, Strube, SESVanderHave and KWS were published online on 17 May in the journal Current Biology. Sugar beet is an economically important crop in Europe. Unlike in cereals, we do not harvest the seeds that develop after blossoming, but instead use the thickened roots which store large amounts of sugar. It is undesirable for farmers that a sugar beet flowers, as flowering ends the development of a storage root. 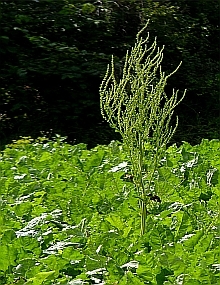 The wild ancestor of the sugar beet, the so-called sea beet, often blossoms in the first year of growth and does not produce a beet at all. By contrast, the domestic sugar beet builds up a large beet which is harvested before it would blossom during the second year. In Europe, sugar beet is normally grown from spring to fall. If it was planted already before winter, it would flower after winter and only develop small roots, because low temperatures are a flowering signal to the plant. 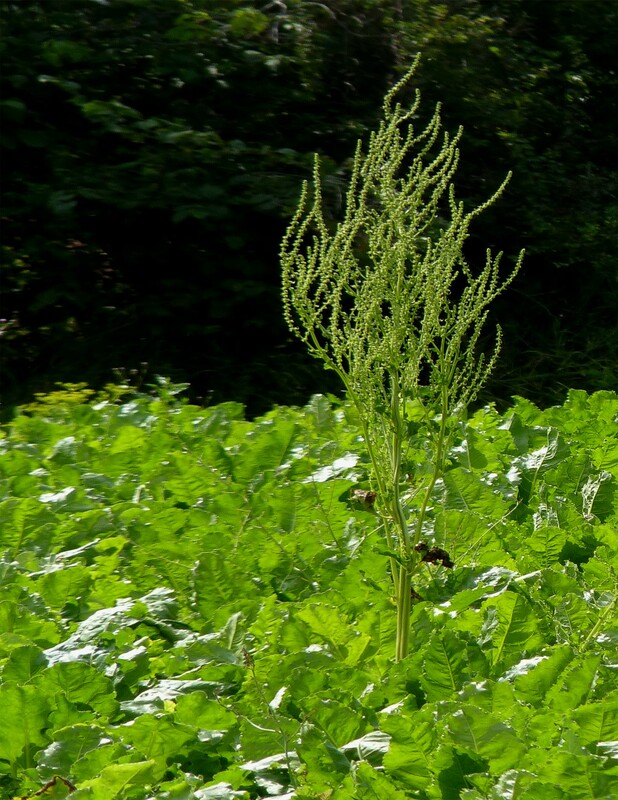 “It was obvious that there was a genetic difference between the early flowering beets which occur in the wild and domesticated sugar beets, with tremendous implications for agricultural use", says Andreas Müller, principal investigator at the Plant Breeding Institute in Kiel. We wanted to know which difference that is, how it evolved, and whether we could use the underlying gene to control flowering and thus increase sugar yield. Commercially produced seed mixtures frequently contain seeds that will blossom too early. They appear naturally and affect both current and future harvests on the contaminated field. “Now that we know the bolting gene, we can test seed mixtures for bad seeds before selling them, and farmers will get much better quality seeds”, says Thomas Kraft of Syngenta. “Scientifically, the findings are groundbreaking, because the genetic mechanism controlling flowering in sugar beet differs from all other plants that have been examined so far”, continues Professor Christian Jung, director of the Plant Breeding Institute at Kiel University who initiated the research on the Kiel part of this project more than 12 years ago. The plant therefore has a high potential to become a new scientific model organism for plant growth and flowering control research similar to mice for cancer research. Moreover, these findings will be of major importance for breeders. The research work in this joint project was funded by the Deutsche Forschungsgemeinschaft (DFG), the German Federal Ministry of Education and Research (BMBF), the Swedish Research Council, the Swedish Governmental Agency for Innovation Systems, the China Scholarship Council, the UK Biotechnology and Biological Sciences Research Council, The British Beet Research Organisation, and Südzucker. Project partners from Syngenta (Landskrona, Sweden), SESVanderHave (Tienen, Belgium), Strube (Söllingen, Germany), KWS (Einbeck, Germany), Broom’s Barn (Bury St. Edmunds, UK), the Max Planck Institute for Molecular Genetics in Berlin and Bielefeld University contributed to this work. Caption: Sugar beet (left), regular sugar beet plant (middle) and bolting sugar beet plant (right).